Friends of Russian Orphans has been given the privilege, and responsibility, of serving as the facilitator of a summer program whereby orphans who live in orphanages in the Arkhangelsk Region of Russia come to the United States for a summer visit. Friends of Russian Orphans has been given the privilege, and responsibility, of serving as the facilitator of a summer program whereby orphans who live in orphanages in the Arkhangelsk Region come to the United States for a summer visit. The children are matched with a “host family” that provides them with friendship, care, activities and love during their stay. The “host family” covenants to pray for, communicate with, and be concerned about the welfare of their guest-child after the program ends. A “host community” church serves as a logistical center and provides lodging for the children. Congregation members provide additional volunteer support. 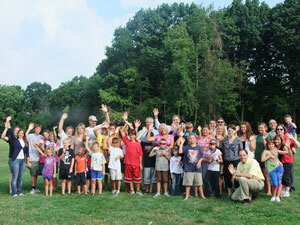 The Journeys of Joy visitation period is planned to coincide with the host community’s vacation bible school program. Visiting orphans participate in the program and interact with American children. This program blesses all who participate. Members of the host community are able to participate in an international mission without leaving home. 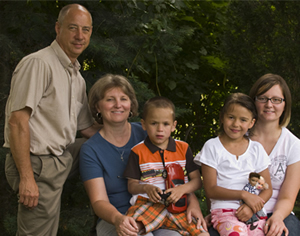 Host families experience the special blessings that come from expressing compassion, generosity and unconditional love. And, participating orphans learn about functional family life for the first time. They experience individualized care and concern. They engage with the larger world, and see that their lives can have a future, meaning, purpose, and hope beyond the orphanage doors. Most of all “Journeys of Joy” facilitates the rebuilding of trust, confidence and self-esteem in the lives of children scarred by abandonment and loss.